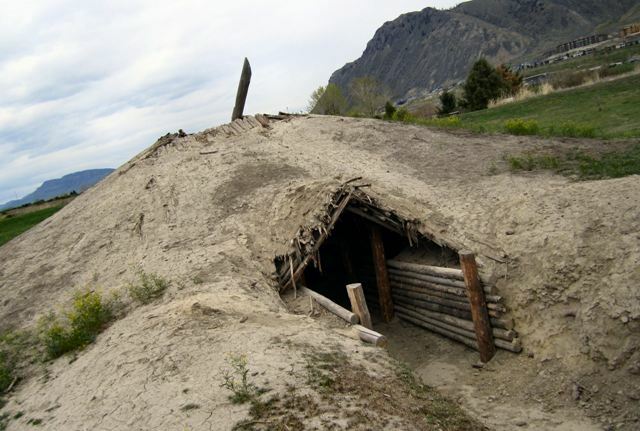 There is no end to the secret places to explore around Kamloops. Tucked amongst countless lakes and rivers in the Southern Interior of British Columbia hidden around the city are some pretty amazing historical sites, waterfalls, trails and kayaking spots. These rebuilt homes located on a traditional native site give people a glimpse into the lives of British Columbia's First Nations People. Visitors can go inside the huts and enjoy a fire and listen to traditional native storytelling. Be sure to book ahead to get the full experience! 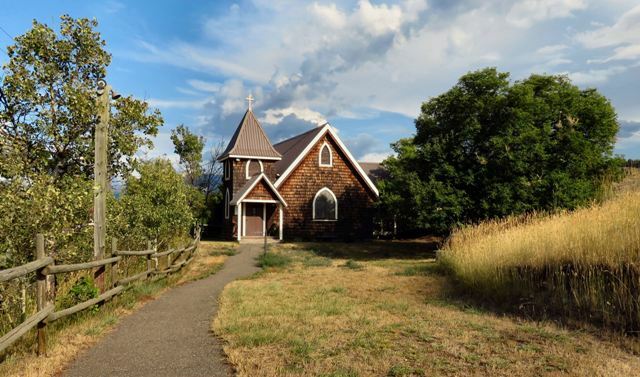 This quaint little country church was built by Hewitt Bostock, a local pioneer, rancher and senator in memory of his son Alexander who was killed in action in France during the first World War at the young age of 23. Built by early Italian immigrants to support the railway travelling from Kamloops to the Lower Mainland, these beautiful stonework bridges are incredibly functional works of art. When I visited a few years back there was a rickety old bridge that took you across the creek to the falls but I have heard it is no longer there and has not yet been replaced so getting there may involve crossing the creek on your own thus adding to the adventure. 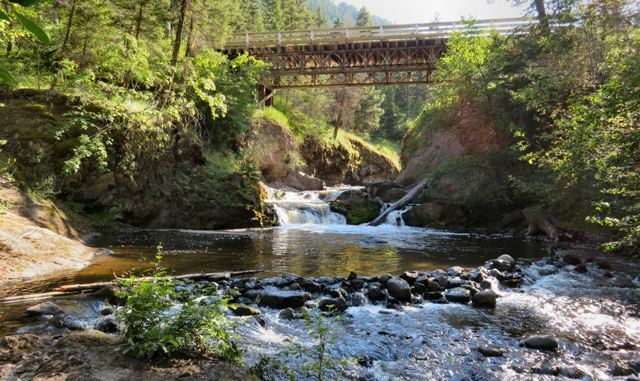 There are so many beautiful locations along this still popular gold-panning river. As you drive along the Red Lake road there are plenty of places to get out and discover the many secrets of Tranquille River. There are countless abandoned flumes in the Interior of British Columbia as that is what the pioneers used for mining, farming and logging. 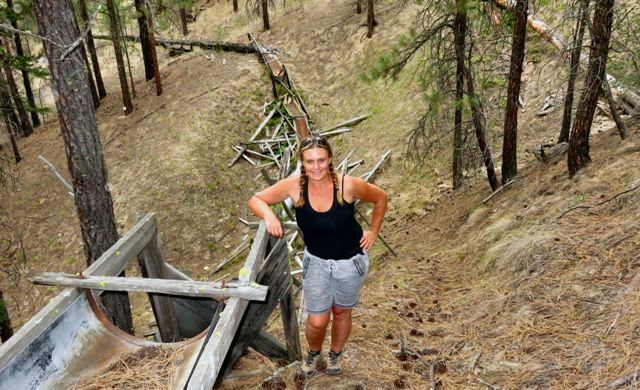 Do a little bush-whacking and you too can discover these little pieces of British Columbia history. With so many creeks and rivers in the Kamloops area there are countless little waterfalls hidden along their paths. 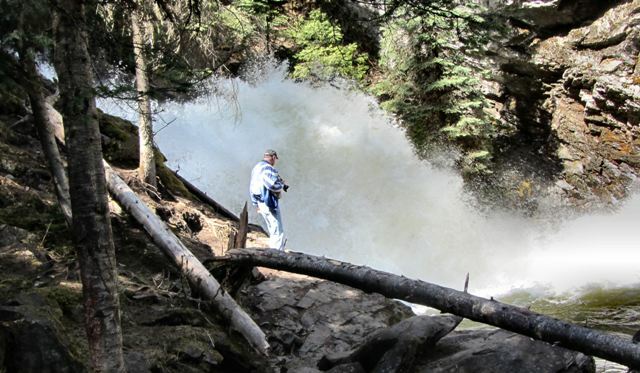 A long-time Kamloops resident gave me directions to this little known and hard to get to but well worth it waterfall. Many of the lakes in the Kamloops area are home to the protected Western Painted Turtle. Being a cold-blooded creature, they can often be found sunning themselves on rocks and logs around the shore. 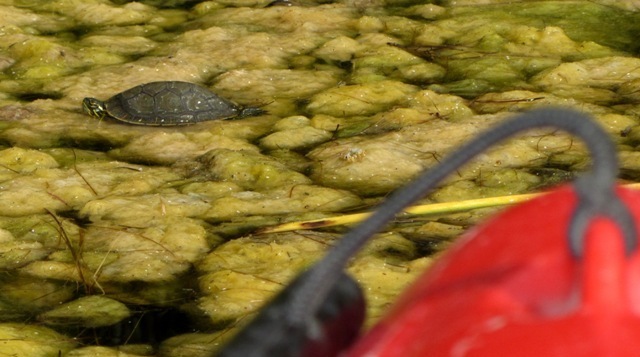 This particular lake was teeming with turtles. I saw over 20 on this trip alone! The amazing desert landscapes that surround our beautiful city are filled with surreal looking hoodoos and silt bluffs. One can spend months exploring all the big and little hoodoo formations springing out of the cactus and sagebrush. 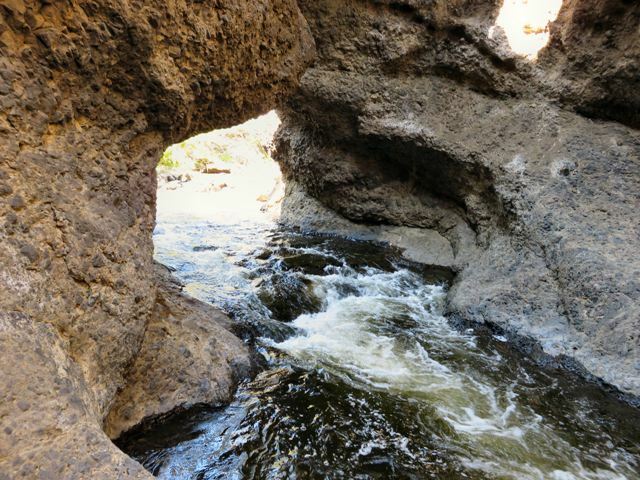 Did you know there are a number of slot canyons in Kamloops and the surrounding area? I did not until recently and now I want to explore them all. This is an activity best planned for the late summer and early fall when the water levels are low enough to walk through them.